Many foreigners hear of Tijuana from, not just people interested in tourism, but also those in the commercial sector. For the first time, however, many of those people have their fears and misgivings, as they are not sure how safe it is to drive when you are a foreigner. They are also not sure how fast you can get help if you have a problem on the road, say, have a flat tire or even an actual car breakdown. Tijuana is a busy financial center and has great industrial activity. You will find hotels and restaurants of international standards; heavy activity in real estate; a number of golf courses; and so on. In manufacturing, there is great investment in medical devices, cars, electronics, aerospace and other areas. Some of the big companies with presence there include Toyota, Smiths Medical, HSBC Bank, among others. In short, you cannot associate Tijuana with remoteness. Many visitors choose to drive there so that they can have a feel of the real life along the way to the main tourist attractions. In fact, the population that crosses the border linking San Diego to Tijuana is over 40 million every single year. The border area is actually rated as the busiest in the world when it comes to border crossing on dry land. How easily can you access help on the road? There is a great road service provided by the Mexican government known as The Green Angels. These are qualified mechanics that drive in pick-up trucks of green and white colors, and patrol the country’s major highways day and night. Their main mission is to assist any visitors who may have mechanical difficulties, free of charge. The Green Angels also help tourists with reliable information that makes their travel hassle free. You can access them through any government agency around you. And if you are within the toll roads of Tijuana, Ensenada or El Hongo, you can call 01-800-990-3900. 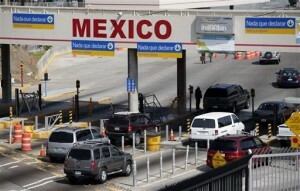 For those on toll roads connecting Tijuana to Tecate, the telephone number to call is 1-800-888-0911. Even with this kind of assistance, it is good that you also do your bit to make your travel as smooth as possible. Bill and Dorothy Bell, who have investments in Mexico, but who first came to Tijuana as tourists, have provided some tips for visitors wishing to see the countryside as they come in. As far as you can, drive on the toll roads. If you do that, you will be driving on well maintained roads that are properly marked. The roads are also regularly patrolled by police. When you are new to Mexican roads, it is best to keep to daylight as much as possible. That way, road bumps will not be an issue. You will also not have to worry about finding unexpected obstacles like rocks that truck drivers sometimes pile up, in an unorthodox manner, to make other motorists slow down when their vehicles have broken down. When you see a driver signal left, watch out before making a move: it could either mean you can overtake, or that the driver wants to turn left. Be defensive in your driving. Some drivers are a bit too impatient and sometimes overtake dangerously. Have your official documentation ready to show them. These include your driver’s license, your car import permit and your tourist visa. You may want to step out of the car to conform to what local drivers are used to. In case the officers highlight an offense you have committed and want to give you a ticket, it is fine to dispute it. In Mexico, if you make your argument in an appealing manner, the police will withdraw their decision to give you the ticket, unlike the case in either the US or Canada. If they actually give you a ticket, expect them to confiscate your driver’s license until you have paid the ticket charge. One very important thing that you should take care of before you leave for your Mexican trip is Mexican auto insurance. Many people think erroneously that because they already have an auto insurance for their personal vehicle, they do not need Mexican auto insurance anymore. The policy you currently have for you vehicle in America or Canada will not be valid in Mexico. To travel on the roads in Mexico, you need to buy Mexican car insurance which covers the period of time you will remain in the country. It is illegal to drive without a valid policy. 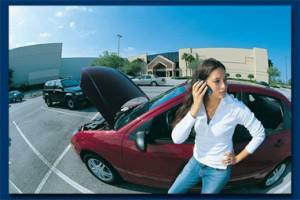 You can purchase your Mexican auto insurance policy from this link. Mexican Insurance Store has the lowest policy prices compared with other insurance companies. You can also find the coverage you need. I didn’t think twice buying my auto insurance from this site. As a traveller in Mexico, I have been helped by Mexican Insurance Store. Throughout Mexico, I have enjoyed driving with no fear at all. Why? My insurance is my protection. Now I can explore Mexico hassle free. Mexico requires drivers to own their Mexico insurance. However, my neighbor’s coverage was declared invalid because he was driving while drunk. It was a lesson I learned from that neighbor of mine. I avoid driving after drinking too much alcohol. It’s really convenient if you have your Mexican insurance. 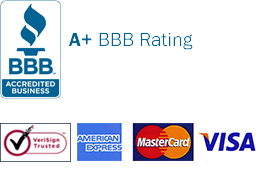 The financial burden becomes easier knowing that the insurance company will take care of you. After a misfortune happened to me and my car, I was able to get my claim taken care of quickly. Being a skilled driver doesn’t keep you safe all the time. It’s difficult to avoid totally avoid accidents once you get on the road. But Mexican insurance Store can get you covered with protection. Nearing Tijuana crossing border, Mexican Insurance Store will provide you a step-by-step guide on how to manage a hassle-free border crossing. That’s how consistent Mexican insurance store companies are! In beach resorts, someone will approach you asking you to go for a timeshare presentation. While some are lawful, others are just not legal. Driving on the road in Mexico during the Dia de los Muertos is quite dangerous as many people are out to bring flowers to their loved ones’ graves. Beautiful Mexico! Tijuana was once a place of threat and war but now it’s a place for elegant visit in their modern society.